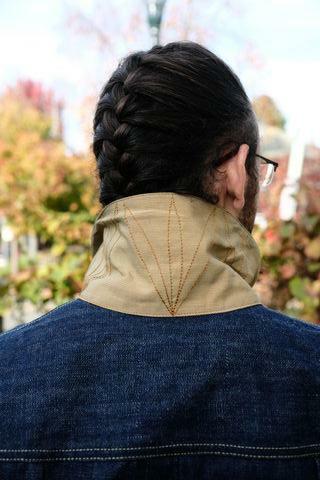 The collar label is embroidered. Specifically, who makes them and why the red stitching ? Did any any originals have Red? 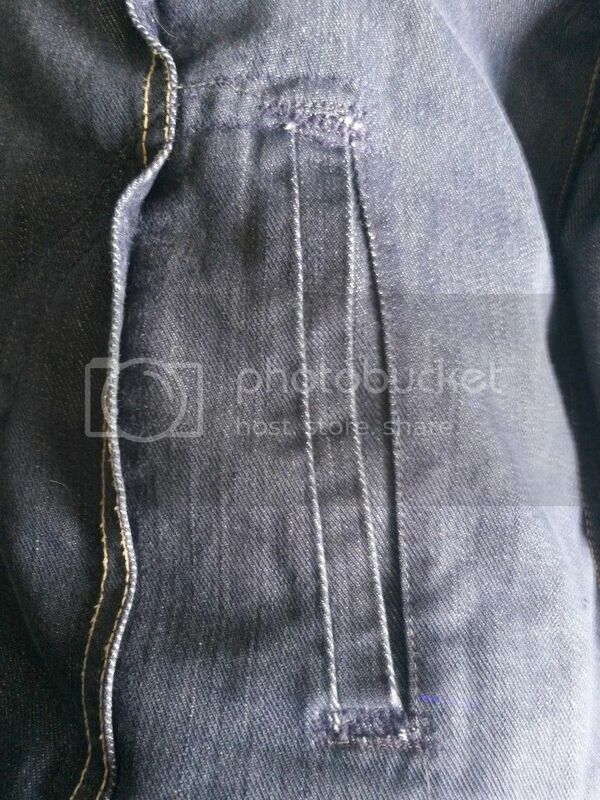 Recent find, very lightweight thin denim. 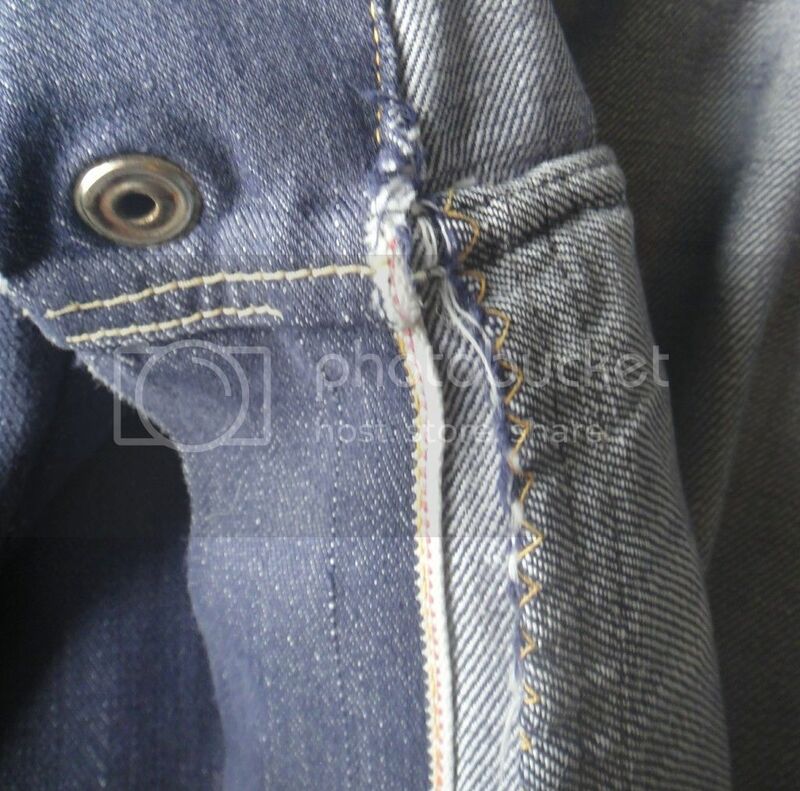 All press stud fastening, yet selvedge. Anyone seen one before of have any info I'd love to know a bit of it's history. 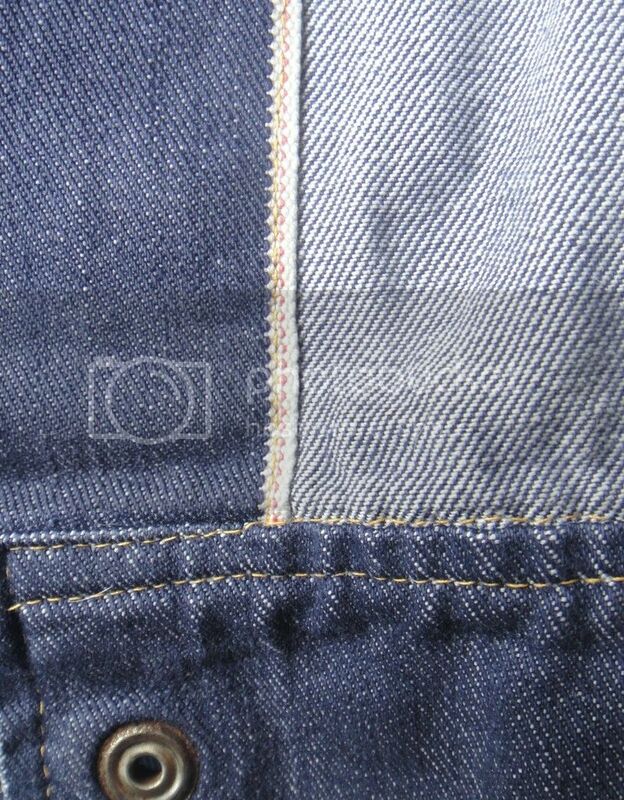 Have to agree although I think it started out life in a Lee factory due to some of the original finish being crisp, the selvedge for instance. 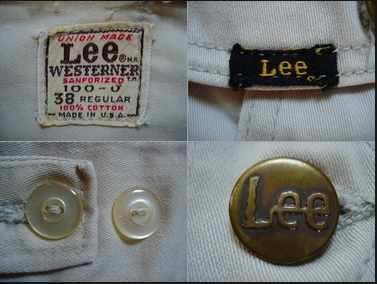 The Lee pocket label is definitely sewn in when originally made. 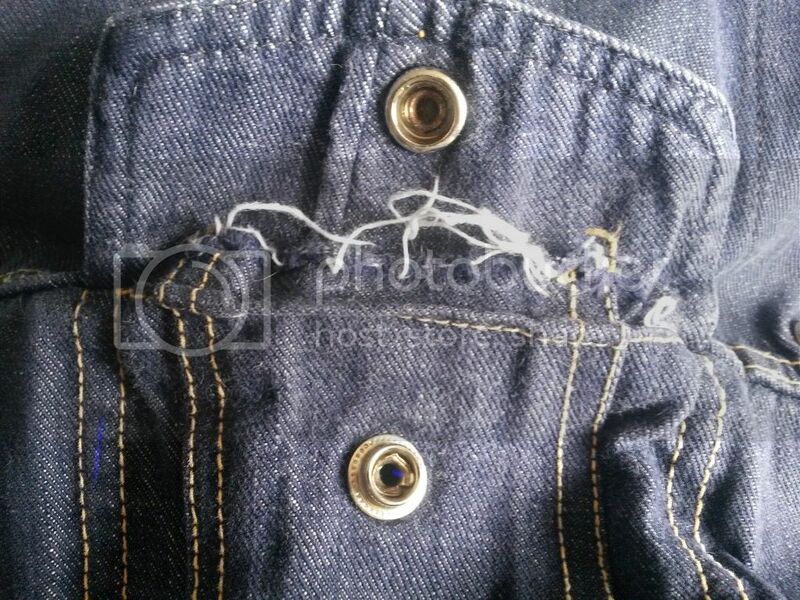 However, over the years an 'enthusiastic amateur' has repaired it & modified it to have side pockets (which are tiny) & possibly added chest pockets. 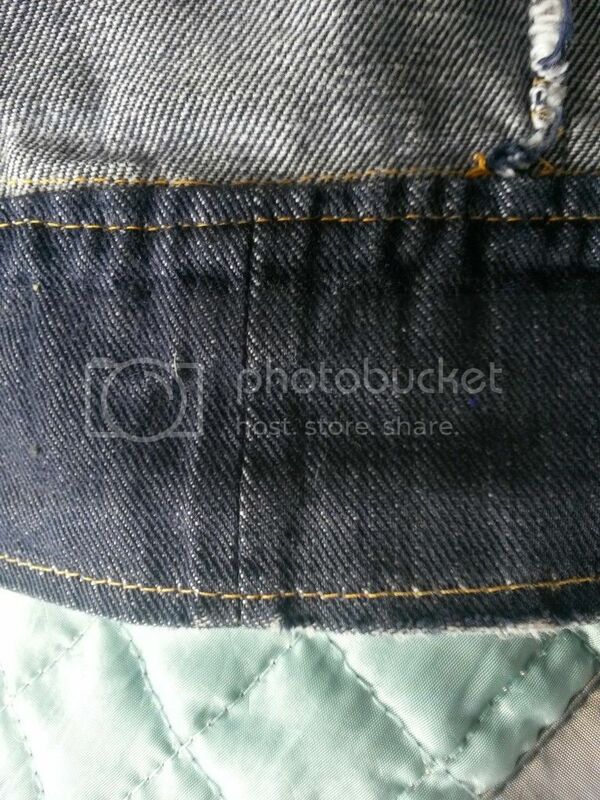 I hadn't thought to check the 'authenticity' of the waistband until now & was definitely added after manufacture. 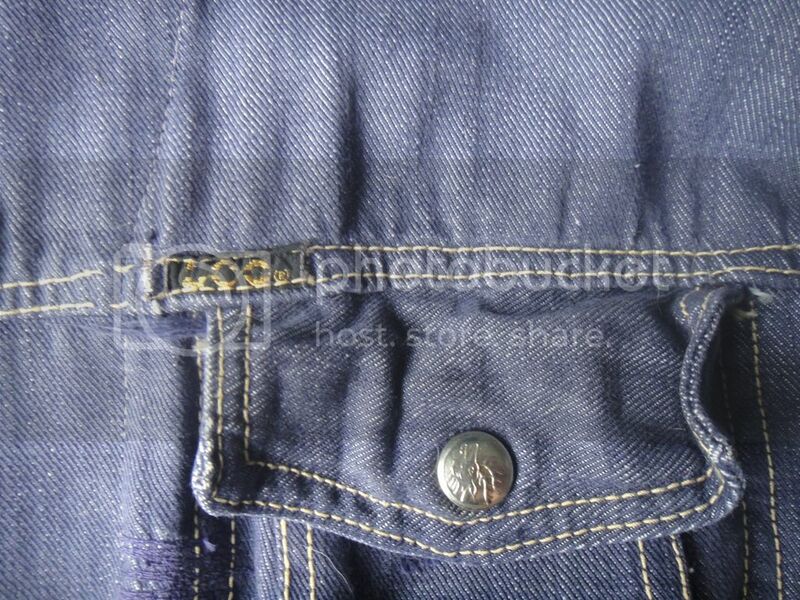 Looks like it may have been made from the tails of the original shirt, hence the seam (& terrible stitching). 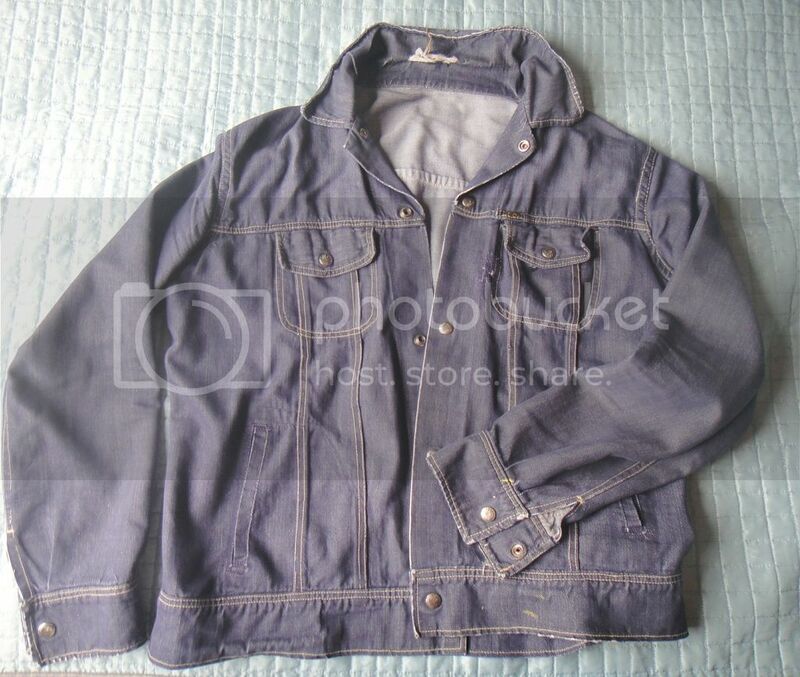 So that's narrowed my search down because it never was a jacket. 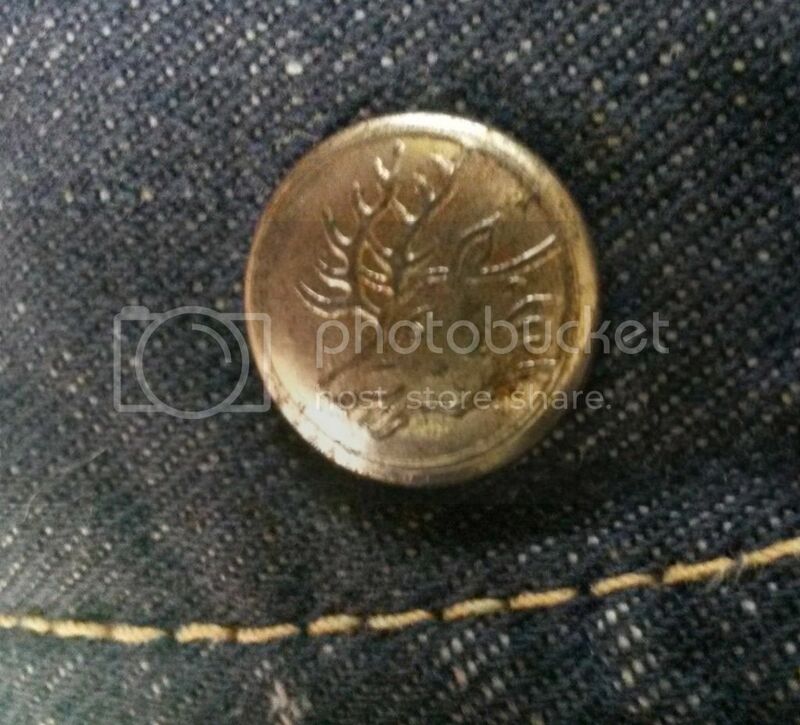 I was wondering if anyone can speak on the authenticity of the 100-J in the first photo. I'm not experienced enough to know when it was produced other than basing it off the second photo which I pulled form a Japanese site which states that it is from the 1970's. The only difference I can tell is that the does not have Union Made in red lettering at the top and the Made in USA is inside the black border instead of being a part of it. Any help would be greatly appreciated. 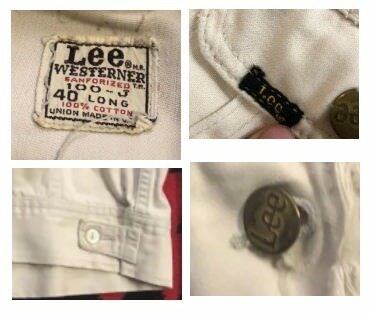 Also, are there any books I should purchase if I want to gain more knowledge on dating vintage Lee or Bluebell/Wrangler clothing?